It was a very cold, cloudy day, not the sunshine I was expecting. 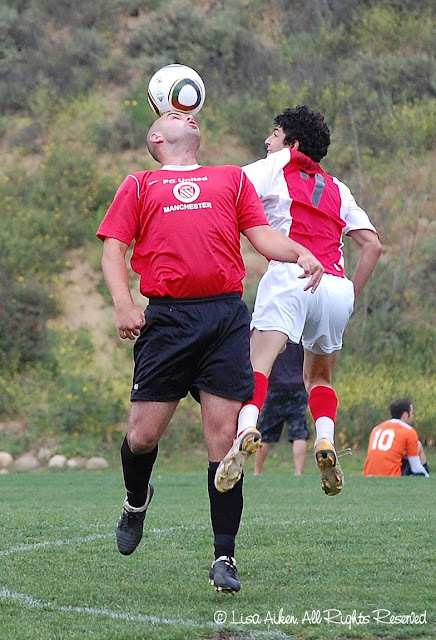 In sports photography, timing is everything and I've definitely been working on my timing. My Nikon D40 only captures 2.5 frames per second so I'm limited as far as continuous shots and the maximum aperture on my lens is f/4 which in my research, having at least a f/2.8 300mm lens is probably what I should shoot with for better sports photos. However, I decided for the time being to just use the equipment I have and position myself around the soccer field to optimize my len's capabilities to capture some great shots. 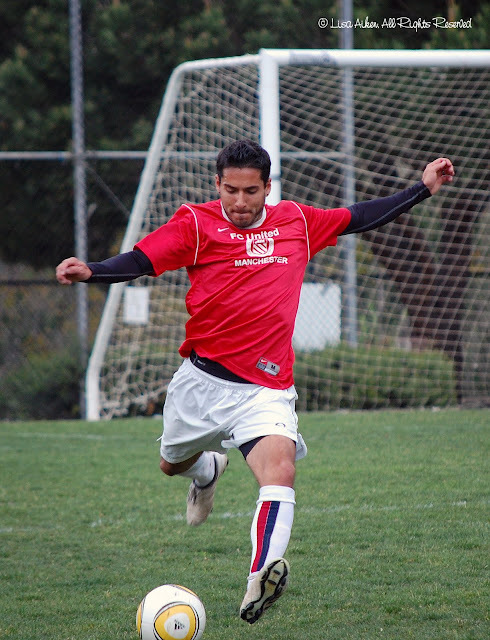 To me soccer is a very difficult sport to capture because the action is all over the field and the pace is so fast but that's what makes it so exhilarating to me! With sports photography, you have that one moment to capture an action that cannot and will not be repeated. I love to capture the expressions of determination, hard work, and athleticism of the athletes. I can't wait to get back out there on the sidelines. On March 26th, the day had arrived and I refreshed the page of the Santa Barbara Museum of Natural History probably a hundred times to see the announcement of the photo contest winners. My heart skipped a beat when I saw that they had postponed the announcement until March 29th, sometime after 6 pm. So on March 29th at 4:30 pm, I checked my email as usual and was so overjoyed to get this email from the SB Museum of Natural History. I couldn't believe it! I called immediately to RSVP for the reception. 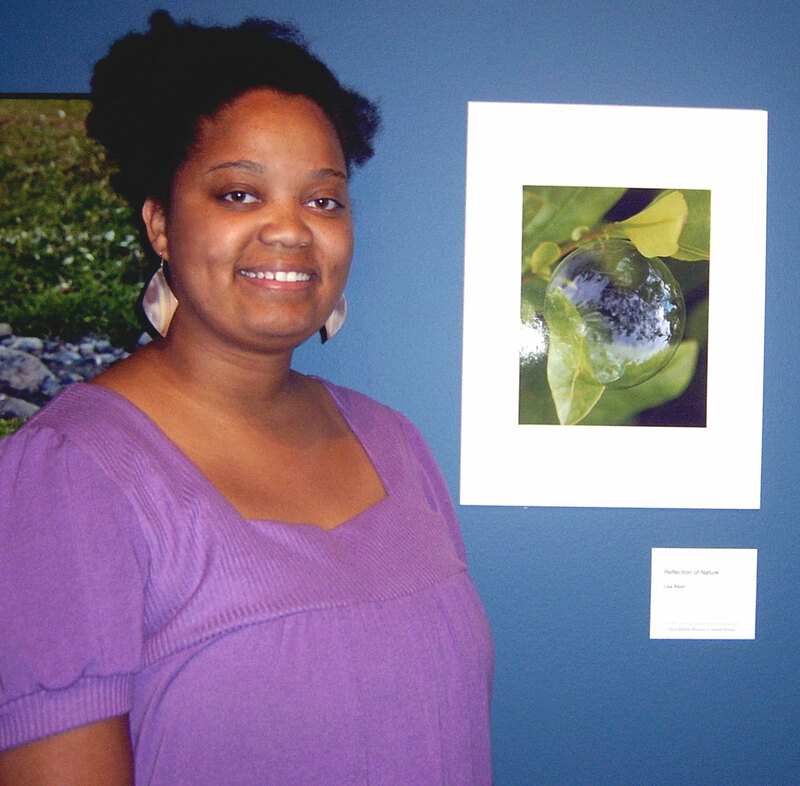 I submitted two photos and I wasn't sure which one they chose for the exhibit. Today, I attended the exhibit and was very impressed with the work of the others photographers and absolutely blown away by the talent in the children category. 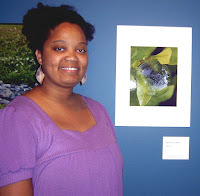 It was so great to see my photo exhibited! I couldn't stop smiling and to realize that my photo was selected to be 1 of 142 out of nearly 700 submitted photos to be exhibited was the frosting on the cake. And to have my photo in the same room as some of the amazing photos I saw there was the cherry on top. I took an old point and shoot camera with me to the exhibit because my DSLR would not fit in my vintage purse which was silly of me & explains the quality of some of these photos. I stood there and listened to people discuss my photo. It was great to hear other people's perspective on my work. I didn't introduce myself to everyone who admired my photo because I wanted to hear honest feedback but it was definitely a good feeling to introduce myself to some of them and discuss how and why I took the photo. 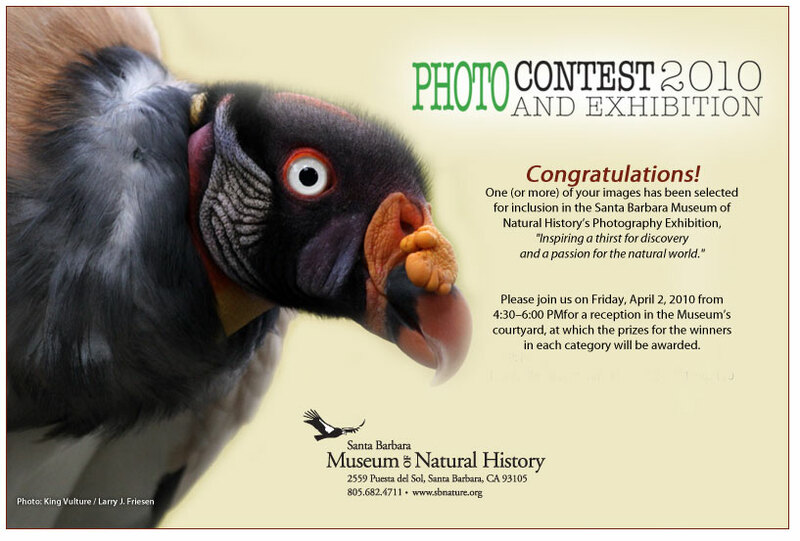 The photos of the six winners and the photos of the honorable mentions, including mine, will be on exhibit at the Santa Barbara Museum of Natural History from April 2, 2010 to May 2, 2010. 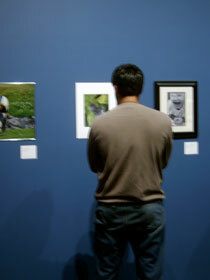 Visit the museum to check out the exhibit and the many other wonderful activities and exhibits the museum has to offer.